Attorney Treimanis supports the findings and purpose stated by Congress in the Americans with Disabilities Act (ADA). Attorney Treimanis is committed to insuring that this law is complied with. 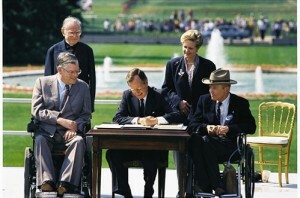 The current text of the ADA includes changes made by the ADA Amendments Act of 2008 (P.L. 110-325), which became effective on January 1, 2009. For more information on the ADA, please check http://www.ada.gov/.